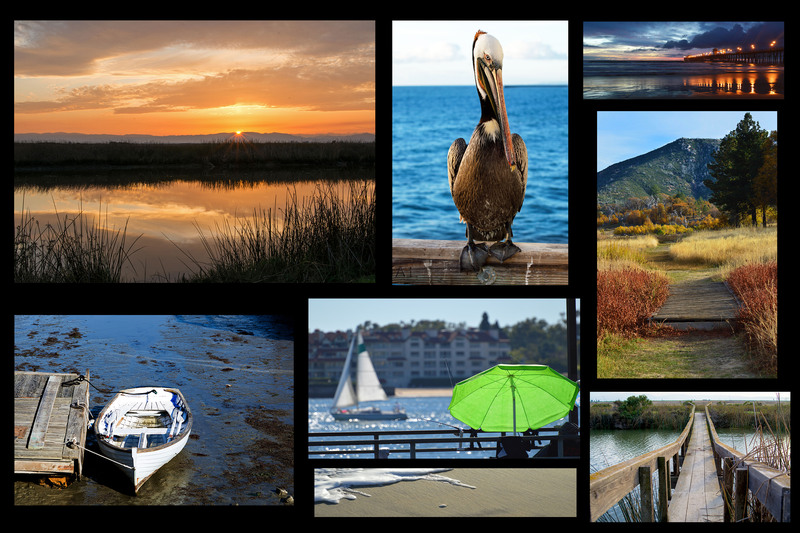 Sometimes it is fun to play tourist even if it is only 30 minutes from where you live. 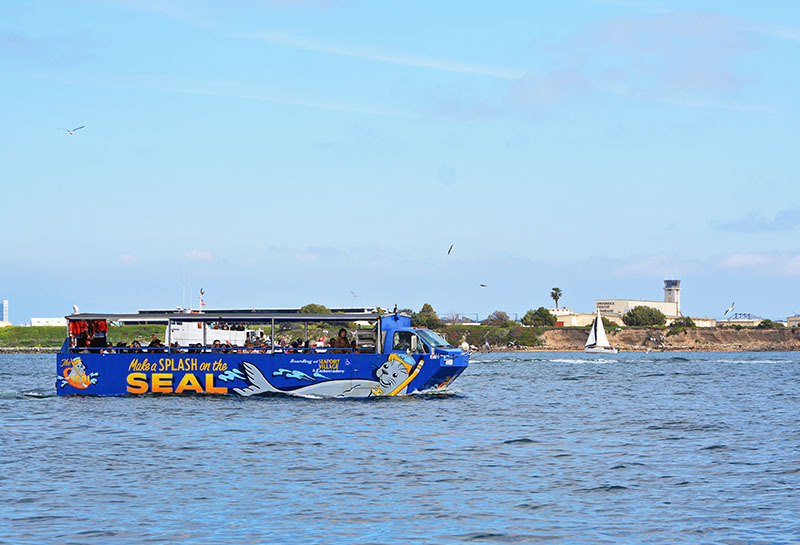 I had heard about the Seal Tour in San Diego Harbor many times and always wanted to try it. So Staycationer JoJo put on her reading glasses and searched her trusty Groupon for a few tickets. Done…booked…ready to go! The SEAL is an amphibious vehicle that can drive on the street as well as the water. SEAL is an acronym for “SEa And Land.” It holds about 40 people comfortably and looks like a huge safari truck with a boat front. Once you board the vehicle, it takes you through the streets on your way to a boat ramp on Shelter Island. As mentioned, the street ride was a little breezy as the vehicle was wide open and we were going at least 45 miles an hour. So take a jacket or a sweatshirt unless it is summer. The Captain drives the vehicle while the first mate acts as a guide/narrator for the trip. 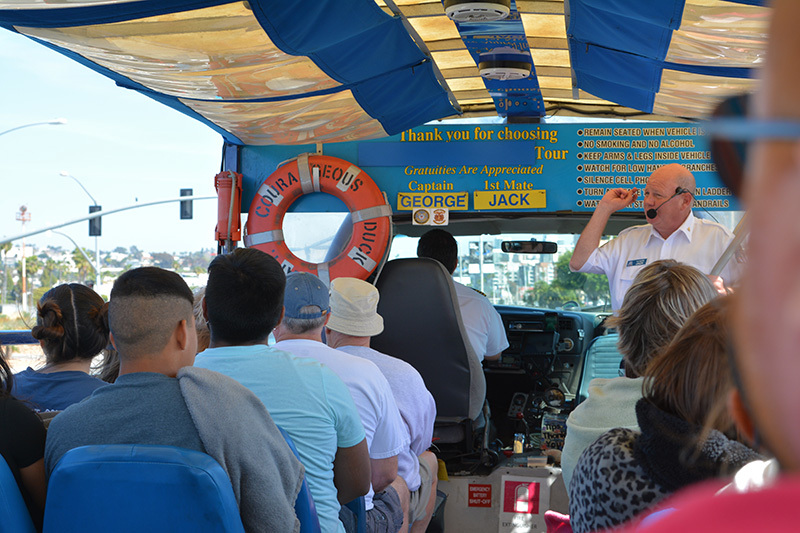 Equipped with a microphone, the guide gives you informative tidbits about the city, the embarcadero, various attractions, the bay, etc. 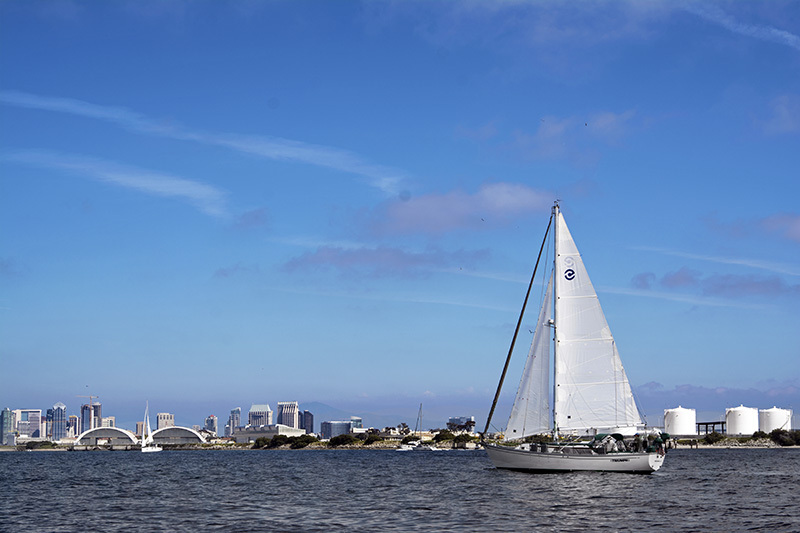 As you pass by the embarcadero you will see the sailing ship “The Star of India”, the “Midway” air craft carrier, other naval ships, a submarine, and of course the beautiful harbor. 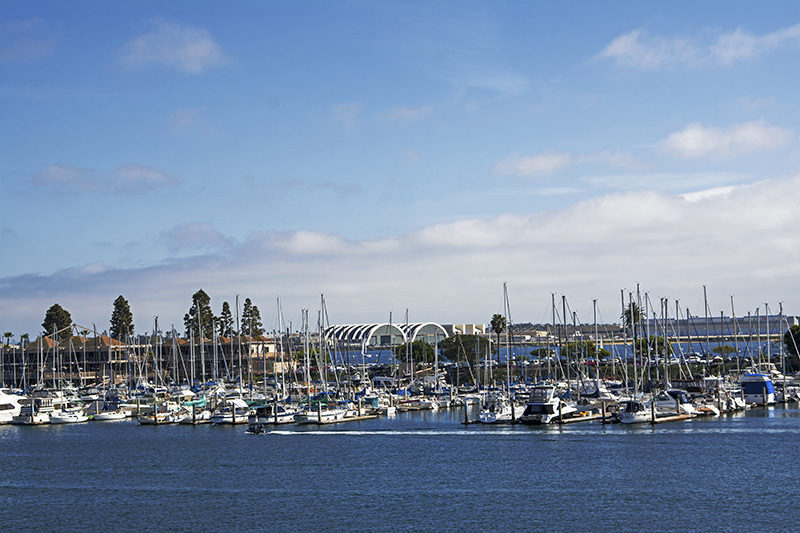 You will pass by the Coast Guards Naval Station and the San Diego Airport on your way to the water portion of the tour. Once we reached Shelter Island we headed to the boat ramp and waited our turn to enter the water. It was an easy transition from the street to the water and other than slowing down, you wouldn’t notice the difference. Actually being on the water was way smoother until the speed boats caused a wake that rocked the boat a little. 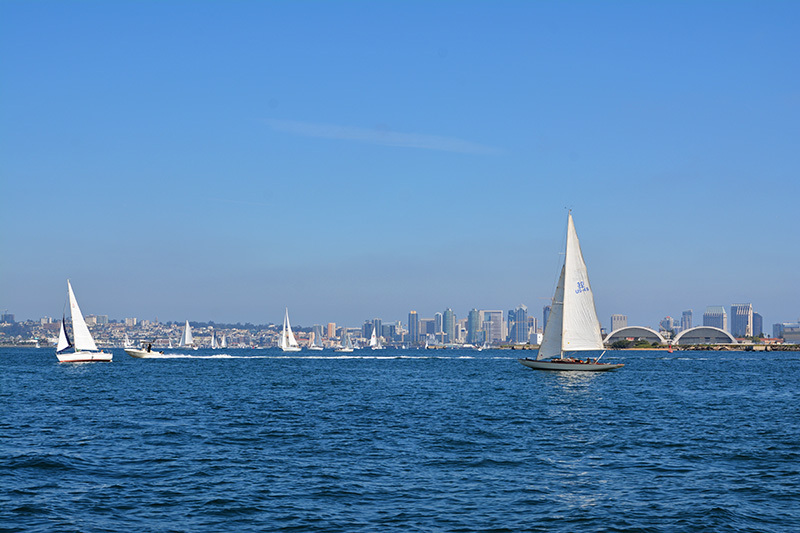 Slowly we moved around the bay and soon the clouds parted to display the beautiful San Diego Harbor in all its glory. 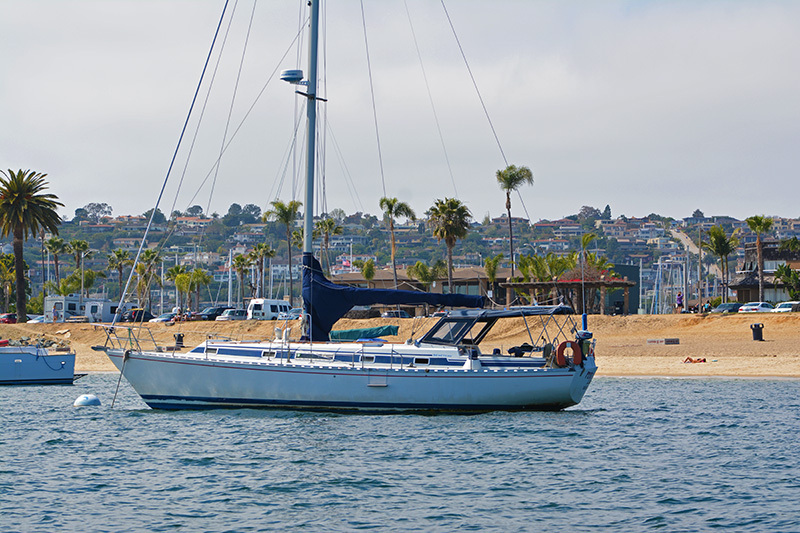 We tooled around near the entrance to the harbor near the Point Loma area while the First Mate chatted about what we would be seeing. On our left was the North Island Air base and our right the Naval Station. Sailboats glided by amongst large pleasure crafts and then there was that occasional speed boat that made the SEAL sway back and forth. 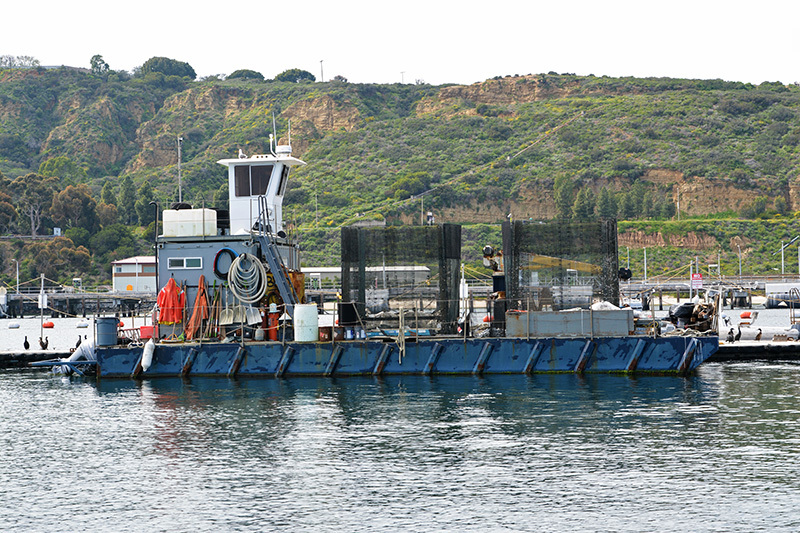 We hovered around a group of docks that held bait for the large fishing boats as they make their way out to sea. We stayed for quite a while watching about thirty sea lions that were either sleeping or lounging around on the platforms. Once in a while one would get up to stretch, much to the delight of our passengers. We were given a lesson on the difference between seals and sea lions. Among other differences, the sea lion has a visible flap for an ear and the seal doesn’t, these were sea lions. 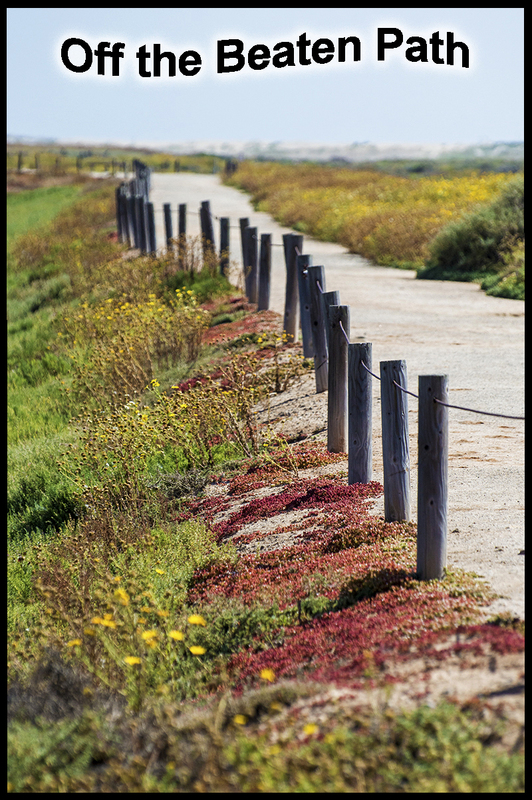 We soon headed back and our narrator treated us to more amusing stories about San Diego that kept our interest. He even turned the radio up for some dance tunes during certain times and also acted as the official boat photographer. It was very casual and the fun facts made the ride more interesting. I hope if you try this tour, you will have a great tour guide like we did. I think it makes a big difference, so kudos to George and Captain Jack from our 1:45 tour. 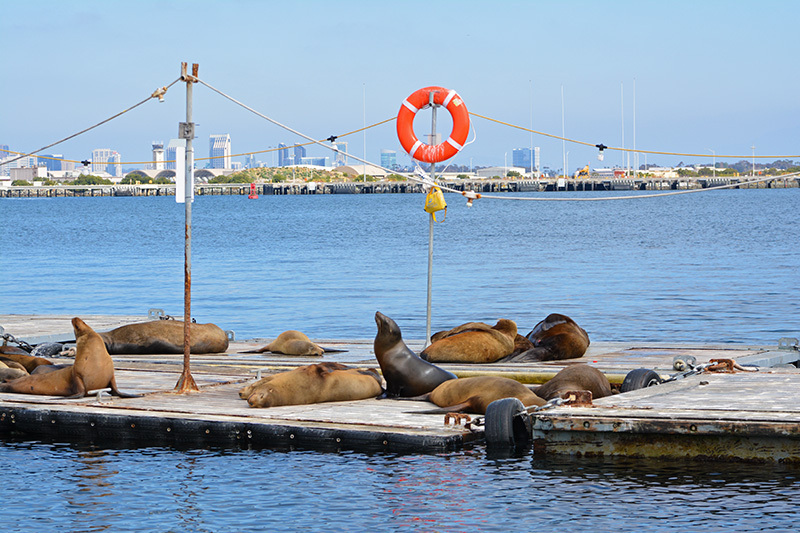 It isn’t an exhilarating speed boat ride or a glamorous dinner cruise but the SEAL Tour is a must try in San Diego. It gets you on the harbor and with any luck you will have a beautiful day like we did. 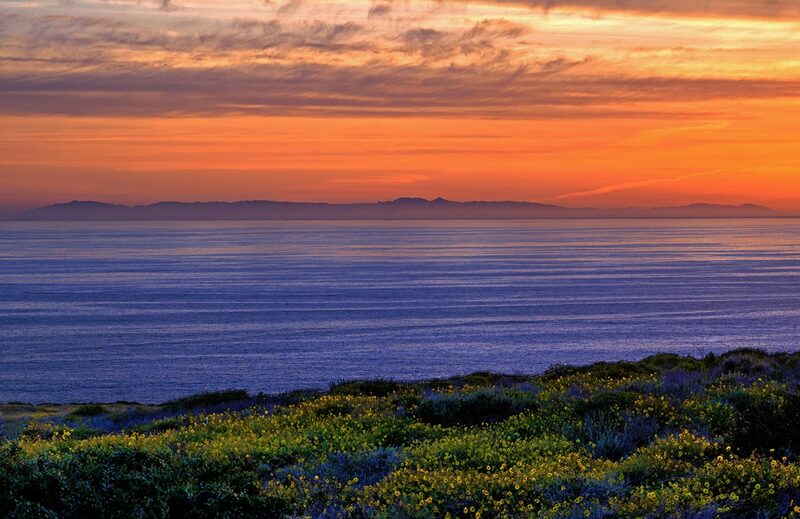 Next PostNext Top 25 Beaches in the U.S.